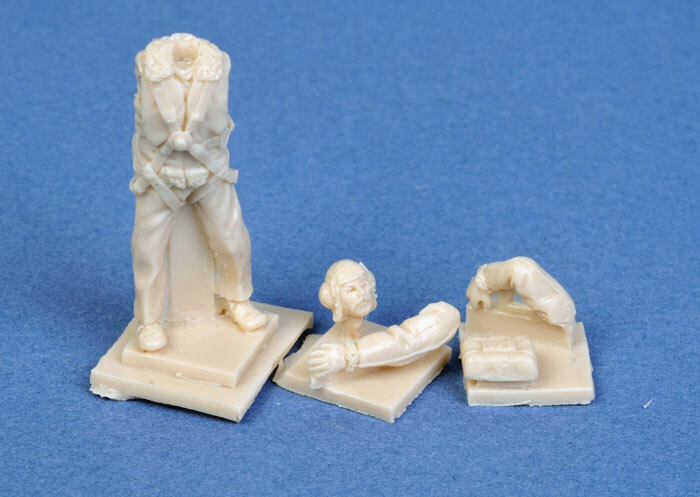 Contents and Media: Each set contains one resin figure made up from five parts. Conclusions: Authentic and well detailed figures in their own right, or a nice way to lend a sense of scale and context to your FAA model aircraft. Although there are certainly more 1/48 scale pilot figures available today compared to five years ago, FAA aircrew are still very rare. This is a shame, as we have seen a resurgence of interest and releases in the field of the FAA. Witness Tamiya's 1/48 scale Swordfish kits, Special Hobby's Fulmar, Barracuda, Skua and Roc, and Eduard's FAA Hellcats to name but a few. First we have a 1/48 scale FAA pilot fitted out for tropical climes. He will be appropriate for the Mediterranean, SEAC and Pacific theatres. Alley Cat's FAA Pilot Hot Climate is wearing a lightweight helmet and has his sleeves rolled up. The figure is standing in a casual pose, making him quite versatile. Fabric draping looks natural, and the parachute straps are crisply cast. Casting is perfect on my sample. The figure is broken down into main body and legs as the main casting, two separate arms, head and parachute pack. A small page of detailed background and instructions is supplemented with a colour photo of the painted figure - very useful. This cold weather FAA pilot is wearing an Irvine sheepskin jacket with fleecy collar and a scarf. He is rather extravagantly mustachioed too, presumably to help ward off the cold. The same high level of casting applies to this figure, as do comments regarding parts breakdown and instructions. 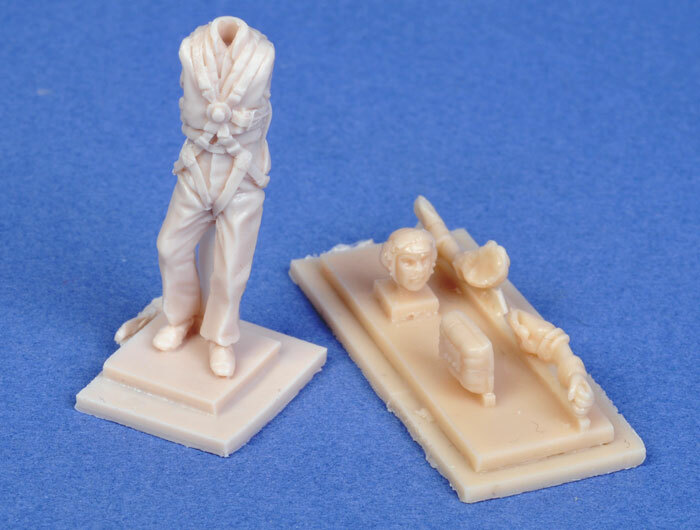 Alley Cat has established a high quality series of pilot figures in the last six months or so. I look forward to seeing what other goodies they have in store for us!